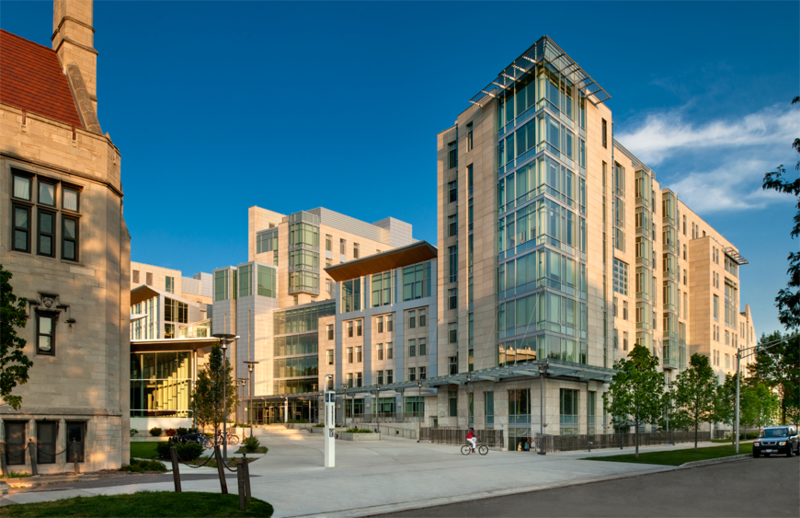 On-campus housing will be available for Institute participants on a first-come, first-served basis. We have reserved enough on-campus room for approximately two thirds of Institute participants, so we recommend registering early if you wish to reserve on-campus housing. Registration is open now! Three types of rooms will be available to Institute participants: Air conditioned singles in Granville-Grossman (formerly South Campus) Dormitory; air conditioned doubles (rooms shared with one other participant) in either Granville-Grossman (formerly South Campus) Dormitory or Max Palevsky Dormitory; and non-air conditioned singles in International House. For those who select double rooms, we will assign roommates, but we are happy to assign you to someone in particular if you both request each other as a roommate. We expect most participants to come for both sessions, but it will be possible to get on campus housing for the two-week session only. Rates are much higher per night for two week stays because these are considered short term and billed to us at a higher rate. Housing arrangements will be Sunday-to-Saturday, which means the 2-week option will cover 13 nights, and the 4-week option will cover 27 nights. Check-in for the first session will be Sunday, July 5, and check-out will be Saturday, July 18 for those staying for only the first session. Check-in for the second session will be Sunday, July 19, and check-out for the second session (and for those staying for both sessions) will be on Satuday, Aug 1. It will be possible for some participants to arrive a day or two early for the first session (for an additional fee), so if you are traveling a long distance and would like to check in on Friday July 3 or Saturday July 4, please email lsa2015.uchicago@gmail.com to discuss this. If you are coming for the second two-week session, unfortunately early check-in is not available. NOTE: Early check-in is for housing only, and not meals. If you arrive early and want to eat in the dining hall, you will need to pay at the door. If you would like to arrange for an early check-in, please email lsa2015.uchicago@gmail.com. A meal plan will be available to those who want to live on campus (but it is not required). Those who live on campus without a meal plan would be advised to live in International House, which has a large kitchen that may be suitable for preparing meals on a regular basis. People living in Granville-Grossman (formerly South Campus) or Max Palevsky Dormitories will have access to extremely limited kitchen facilities and are advised to get a meal plan. The meal plan will cover breakfast every day, lunch every day, and dinner four days per week. Tuesday, Friday and Saturday dinners will not be included as there are receptions on Tuesdays and Fridays, and Saturday evening is available for people to dine out in Chicago. Costs will be $900 for 4 weeks or $450 for 2 weeks. The first meal of the meal plan is Sunday (7/5) dinner during the first session, and Sunday (7/19) breakfast during the second session. Meals are eaten at Cathey Dining Commons (across from Granville-Grossman Residential Commons). Please be aware that Chicago is a very large city and that Hyde Park is not easily accessible by public transportation from all neighborhoods. Think carefully before arranging a sublet in a neighborhood outside of Hyde Park. Please also investigate the safety of other nearby neighborhoods before making plans to live in them. Do not assume that something within a few miles of the university will necessarily be a safe and comfortable place for a visitor to stay. If you have questions about a place you are considering making a rental arrangement, email lsa2015.uchicago@gmail.com.